What can the automotive industry learn from pay-media? They’re so different. For one personal safety is paramount and for the other it’s all about entertaining consumers. Worlds apart? Not at all when it comes to cybercrime. For cybercrime these differences don’t matter. 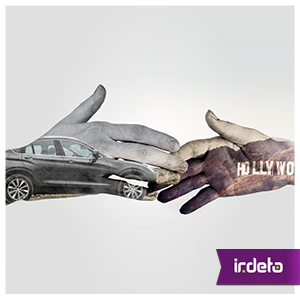 Just as the internet plays a pivotal role in the media industry, its growing in importance for automotive. More vehicles are becoming connected to the internet. With the rise of autonomous cars connectivity becomes even more essential as they rely on maps and sensors to function. To all extent and purpose vehicles are becoming computers on wheels. They’re moving away from grease monkeys to becoming more dependent on computer diagnostics. This transition introduces vulnerabilities. Hackers are able to exploit wireless communications – Bluetooth, USB and WiFi, along with the third party devices such as the entertainment systems to either steal personal information or take control of the driving functions. Recent headlines contained examples from Jeep and Tesla to name a couple. It’s only a matter of time before these become more common. The pay-media industry has been fighting piracy for over 20 years. The pay-media providers have become adept at evolving their defenses in line with the constantly changing pirate landscape. Wouldn’t it make sense for the automotive industry to hitch a ride? The media industry has a wealth of experience that the automotive companies can tap into and adapt. There are many similarities when it comes to the consumer drivers for piracy and hacking across both industries. For some, it’s about wanting to get premium content for free or for automotive, get premium features for free. Both industries have frustrated consumers that want to get, their desired content which is not yet available in their country or in the case of automotive features that aren’t available. Others just want to modify the software in the box or to personalize their car to get additional services. There are websites providing product localization: be it Russification of the dashboard or APIM activation for Ford Sync II. Fans want the latest content; car enthusiasts want to illegally tune every detail of their vehicle. Then there’s the lucrative aftermarket parts development as well as the mayhem motivated hackers. Nowadays it’s both physical safety measures, such as air bags, and cybersecurity measures that the automotive industry needs to focus on. Learning from pay-media cybersecurity experience, building in diversification and developing secure renewable security systems from the outset could benefit automotive. It’s also clear from media that pirates are quicker to exploit technology than the legitimate providers. As such monitoring hacking networks can give early warning of upcoming attacks. In both industries it’s the combination of technology and proactive services that is needed to successfully fight piracy. After all brand and reputation damage from hacking is hard to recover from, no matter what your industry. This entry was posted in Automotive, Media & Entertainment and tagged automotive, cybercrime, cybersecurity, Hacking, Irdeto, online piracy, pay-tv. Bookmark the permalink.